2. The Scientific Method for thinking outside the square. 3. Cognitive Science for software for the brain and apps for intelligence. What today we can call “English Thinking” has really evolved over the past 2500 years. Starting from the Greeks on to the Roman Empire and the Roman Church through The Enlightenment and Scientific Method and, since World War II, with the rise of cognitive machines and the world wired web of the internet. In this coursebook, the 38 lessons are designed to give readers and students: knowledge and mastery of the three methods of English Thinking. I was doing a masterclass with a client group today who are senior value advisors to the Tasmanian Government. 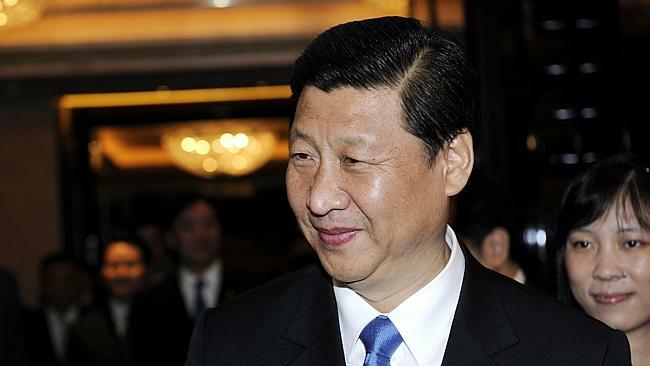 They are anticipating a visit to Hobart by the Chinese President, Xi Jinping, after the G20 in Queensland. Very exciting. A pattern is something that is repeated more often than random chance. To develop new patterns of thinking your brain needs repetition to build the new pattern. Ten times the repetition. This is such an important strategy for your personal success that we will devote this whole lesson to it. It was the invention of the stirrup in the ninth century that led to the idea of the knight. Now a horseman was much surer in the saddle and so the cavalry charge against a wall of infantry became possible. This reduced infantry to the role of support troops and attention became focused on the horseman or cavalier or knicht (German) and his special individual training and personal development. When one is a serious student of the history and strategies of training and personal development, one must research and analyse the concepts and strategies of everyone from Sun Tzu to the orders of chivalry. The ancient noble practises of thousands of hours of training and service allows the individual aspirant to attain an epic level of excellence and virtuosity. This eliteness of training separated the orders of knighthood from their military predecessors. The notions of excellence and quality – of developing one’s ideals and physical prowess through tournaments and practice and of offering one’s service to others – became the original concepts of chivalry and knighthood. All the original crusading orders of knights have been extinct for 200 years since Napoleon drove the last of them out of Malta in 1798 scattering them far and wide around Europe from London to St Petersburg in Russia. But today we see a big return to the ideals of training and service. Perhaps we are now in the New Age of Chivalry. An age of chivalry when the pen is mightier than the sword. In the early 70s, in the RAAF, I was taught to eject from a plane. Again, you don’t want to have to eject from an airplane, but when it’s necessary there is no other choice. There are much more modern systems now, but the way I was taught on the Maachi Jet was this: you just reach up and pull down two little yellow and black striped handles.